PWP Live Pro Wrestling! Friday January 5th in Omaha, NE! 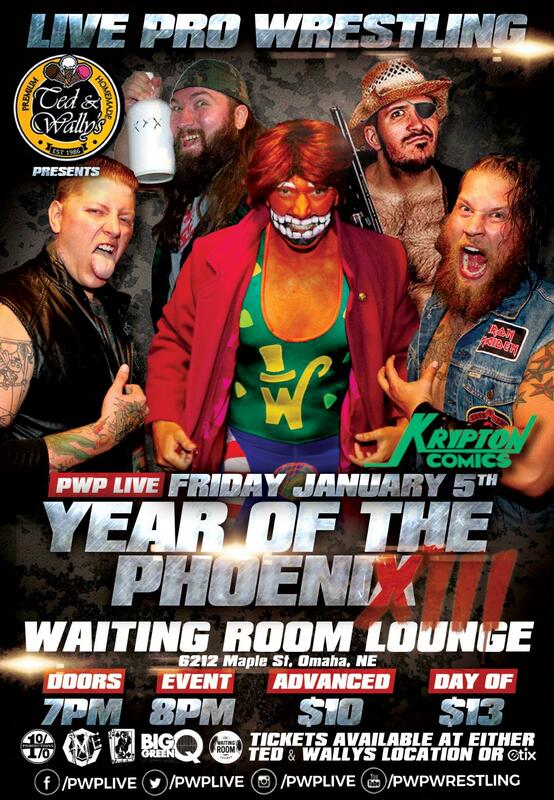 PWP returns to The Waiting Room Lounge on Friday January 5th!! *** TAG WARS!!!! 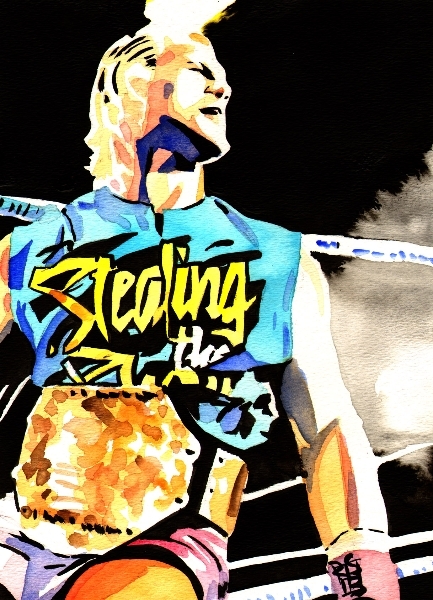 For the PWP Tag Team Championship! This unique match will feature defending champions PAT POWERS and “DELICIOUS” DEVIN CARTER, “THE FIGHT and FLIGHT CONNECTION” – CLAY COOPER and NATHEN EDWARDS, “GUNS and BEER” – DUKE CORNELL and DARREN “MOONSHINE” RUSSELL and “MIDWEST BLOOD” – LARS METZGER and JOHNNY RUCKUS!! All 8 competitors will draw numbers. The men who draw 1 and 2 will start the match. Every 2 minutes after that, the next man will enter based on the number he drew. This match is elimination via pinfall or submission – and once one member of a team is eliminated, the entire team is out – however, eliminations can only occur once all 8 men have entered. The last team remaining will be the PWP Tag Team Champions!! *** CON ARTIEST vs “THE RUGGER FROM DOWN UNDER” ROBERT STORM!! These two got into it at our last WrestleRama, and while Con got the win, it was Storm’s brutal attack after the match that has lead to this grudge match!! Tickets just $10 in advance, $13 day of, while they last!! Advance tickets available at Ted and Wally’s Premium Homemade Ice Cream (both Old Market & Benson locations). This entry was posted on December 29, 2017 at 10:52 am	and is filed under Uncategorized. You can follow any responses to this entry through the RSS 2.0 feed. You can leave a response, or trackback from your own site.